We, that is this thing we call our “self”, are a narrative construct. We are the stories we tell ourselves. This should come as no surprise to teachers and other educators. We know that positive self-talk is correlated with higher levels of success and happiness in all students. But these narratives are not crafted in a vacuum. We are, after all, social creatures, and thus our narratives include the lived stories we craft based upon how we perceive others perceive us. 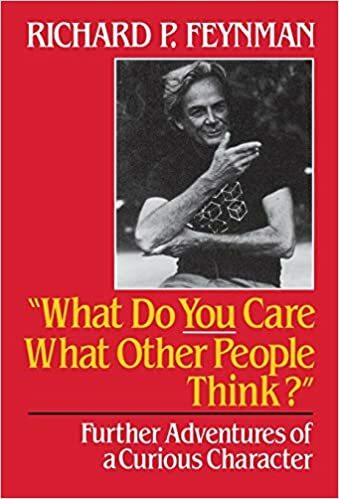 As the philosopher Charles Cooley posits, our “self” is a narrative crafted within the social realms, that is, between us and others (or, as Jason Silva puts it: “I am not who I think I am; I am not who you think I am; I am who I think you think I am”), and so our words, our deeds, and the actions we inflict upon others are immeasurable in their repercussions. In other words, Stories Matter! A lot! We are, to borrow the words of Jonathan Gotschall, “Storytelling Animals.” Thus the narrative turn in our understanding of who we are should play a larger role in how we help the next generation learn than the faux empiricism of evaluations couched in letter grades. 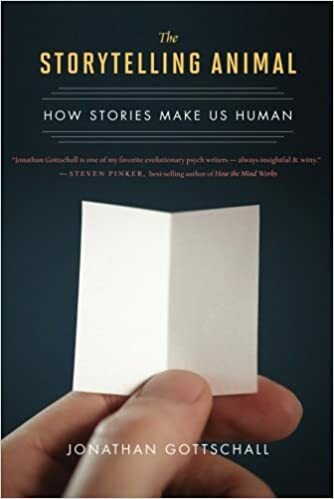 When we turn this theoretical lens onto our classrooms, we should immediately recognize that grades and the narrative we (adults) have shaped around them are a major influence on the selves whose stories we help craft. And their influence is, by and large, negative. By all accounts, student (and parent) grade-watching is rampant, stress and anxiety are increasing in our children, and the stories our students tell themselves about themselves hang too precariously upon a letter. We need to shift the focus away from largely arbitrary (and therefore mostly meaningless) letters and numbers to narrative assessments. At least there, going back to Cooley’s work, we are not inflicting the system’s narrative upon the child/young adult. Instead, we are opening a dialogue, negotiating, and collaborating in the authorship of this human being’s learning narrative by helping them understand what we mean by “growth” in a cognitive sense. No doubt, many students and adults become successful because they fit within the narrow confines of the system’s narratives. And there are those who succeed in spite of the narrative…who are not prisoners of the thoughts and perceptions of others, of the worth implied via evaluative grades. But how many persevere, silently or quietly, despite the system, all the while internalizing ideas of who they are based upon systemic labels (“I’m not an honors student. I’m not good enough for …. I’m never going to be….”)? We talk about how students need to overcome their “fixed mindset” and use “Grit” to develop a “growth mindset” (“I’m not an A student…YET”). That’s dandy, but we know that’s easier said than done. We also know it denies social, economic, and countless other inequities. If these students are constantly on the receiving end of grades which are often manufactured or, worse, inconsistently applied, if they perceive that they have no control over the system’s narrative…? If that is the case, it is a sick and sadistic system that doesn’t ask itself, “What harms are we committing in the name of “Adequate Yearly Progress” or “proficiency” or other “normalized” notions of human potential. It is part of our shared story that we are all human beings in the becoming. (That’s the only perspective through which those videos of “The Power of Yet” make any sense.) If that is so, then grades, which imply for so many students an endstate, need to be seriously rethought, or in the very least their implementation needs to be reconsidered given the understanding of their power to prematurely end students’ learning narratives. One of my academic heroes was the Nobel Prize Winning physicist, Richard Feynman. As he sat by his young, first wife on her deathbed, he discussed how those he was working with on the Manhattan Project may be viewing his constant trips away to her hospital. She asked him point blank, “What do you care what other people think?” (Those words were to become the title of one of his anecdote-filled memoirs). As educators, we must ask ourselves, is our work to help students coauthor their own ”Learning Narratives,” an ongoing subplot of the stories of themselves, or is it to be complicit in (and if so to what extent) the continued creation of compliant rule-followers who seek the approval of others to validate their existence. One should not read that choice as a pure binary. Obviously, boundaries and knowledge of what constitutes quality work and pro-social behaviors are necessary, but they are not sufficient for the full realization of human potential. Only narratives and shared stories help us understand one another that deeply. And that, more than anything, is at the foundation, at the heart, of education. And, as I often do at 4:30 in the morning, I shared my micro crisis with my wife. Before I go into the answer she gave me, a bit of context: My wife was a full-time teacher in Philadelphia until 2004. Before that, she taught in Yuma, Arizona, and New Jersey. She stayed home for the next 10 years to help raise our three children. For the past 4 years she has worked as a reading intervention strategist for our local school district, building new skills and relationships with some of the youngest learners in the district (K–3rd grade). While she has taught students from K–8th grade in her career, she readily admits that in her heart, she is a Kindergarten teacher. And so, last week, when she found out the district was interviewing for full-time Kindergarten teachers, she was elated to find her resume had been chosen for an interview. With the help of a family friend and some quick research, she’d soon boned up on her interviewing skills, the state standards for just about everything Kindergarten, and the basic structure for our districts roll out of this new, full-day Kindergarten program. The interview was yesterday, and to hear her tell it, she nailed every question…every question except one. She found herself rambling in her answer and couldn’t bring herself back to a central point. And so, while successful in most ways, and possessed of several years working with Kindergarten students in the district, she felt defeated. It was with this experience so fresh in her heart that my wife crafted a response to my early-morning lament that so much of my professional life seems like trial and error. And she’s right. I am privileged. Oh, I worked for it. I was great at the game of school, but I don’t play that game anymore because the world is different. So as I drove into school today, thinking about this conversation, I turned to the work of my Twitter friend, @montesyrie. Each morning he writes a message to his students. Something from the heart, something about gratitude, the honest outcomes of doing good works together. I vowed to start the same for my students. Below is my first message. I thank you, @montesyrie, for your huge heart and the audacity with which you live your professional and (now that you’re climbing trees) your personal life. But mostly, I thank my wife for helping me, as she always does, to see beyond myself, and my own opinions to the larger and more important truths about what it means to teach, to be a teacher, and to recognize the great responsibility that comes with the privilege I have. Like many children who grew up before the advent of digital photography, I inherited numerous, neatly labeled shoeboxes full of what pop culture used to call “Kodak Moments”—real, tangible photographs, snapshots of my family processed and printed on photographic paper via the local Fotomat. These artifacts, talismans of light and time captured by kodachrome and chemically fixed on paper represent an archive of my life. Now 47, I’ve taken to going back to these snapshots to search for proof of my existence, to relive old stories, and to hold, if only metaphorically, a moment in time when I was younger, and full of wonder at the newness of the world. As a child, I would watch my grandmother spend her afternoons similarly searching for her own histories in piles of black and white photos from her childhood in Germany and her early adult years in Brewerytown, Philadelphia. Showered by sunlight filtered through a high window and the leaves of a tall maple, she would sit, half-on, half-off her bed, photos spread out like an extra-blanket, reading, sorting, and resorting the photographs until she ran out of the stories to retell herself. Tracing an arc from my grandmother, through my childhood and now to my own family, I have grown into and out of so many shoebox archives that I’ve lost count. Their size and number shifted with deaths and births until one day we stopped keeping them. That day coincided with my purchase of a digital camera. I’ve since replaced the shoeboxes with virtual folders full of more pictures than I can count in a day. Instead of spreading our photos out on a bed and moving them physically from one configuration to the next, we project them onto a large HD TV and praise the quality of the colors, the sharpness of the pixels. And for all the convenience of the form, all the ease of printing and digital burning and dodging, for all that, I’m still drawn to the warmth and limitations of the physical snapshots over the flawless manipulations of digital photography. Life is not perfect, at least not as perfect as it appears in digital photographs where the press of a button increases the “saturation” or the simple shift of a slider can alter the contrast or add more “warmth.” Rather, I believe life is full of fuzzily-focused thoughts, dimly lit understandings, awkward smiles, clumsy postures and poorly framed ideas. It is these errors and mistakes we laugh at and learn from which populate so many of our shoebox snapshots. While I understand that all photos are mere pieces of larger stories and that most public photos from the pre-digital age underwent manipulations of their own, I believe the photos of the small cameras of our yesteryears, like the Brownie of my grandmother’s age or my own “Kodak Hawkeye 110” with its slim build and clunky flashbulbs, are a truer representation of who we were. I believe in the photo-chemical marvel that was the old-school photograph and the errant, erratic beauty of lives captured in Kodak Moments. Last night I traveled. Buoyed on the words of author Susan Rogers as she read from a recent essay, I swam from the hardwood paneled room with its ornate plaster ceiling on the campus of Bard College to the vast, watery plane of the Hudson River sliding past the college barely half a mile away. In an instant, I was floating beside Susan as she paddled south on the wide, rain-swollen river heading towards a New York Department of Environmental Conservation boat that had clearly caught something large. One of the men on board acknowledged her presence as she glided up to the boat, and floating to the back, she could see that what they had was a 6-foot Atlantic sturgeon hauled up from the river’s depths that they were tagging for study. But I learned something else that night, something beyond the fish, beyond myself. Susan’s language, the rhythm of the sentences, the placement of this recollection immediately after she described the death of her mother, the way she reached out to touch the fish, gently, with a curiosity and compassion…all this made me realize why we read. In his work I and Thou, Martin Buber presents his relational philosophy of dialogue. At its heart are two distinct modes of engaging with the world. The first, the I – it mode, is mere experience of an object of observation or utility (the “it”) by a subject (the “I”). This mode is clinical and scientific, detached and observant–think of a virologist watching a petri dish. But in the second, the I-you mode, both objects enter into a transformative relationship. The “I” engages the “you” as an entirety, the universe in and of itself. Jane Goddall’s game-changing relationships/studies with chimps are a good example. Buber classifies such a relationship through three elements, the third of which is the fact that “this one person [the I], without forfeiting anything of the felt reality of his activity, at the same time lives through the common event from the standpoint of the other” (Buber, Education, p.96 f., in Friedman). Buber calls this engagement an “encounter” and grants that such encounters can happen between the I and any object, person … fish. This sturgeon, this ancient, alien fish hauled up through the spell of language, all glassy-eyed, mouth gulping air. . . it was real to me. Its solid, scaled, bony body, its position of helplessness… I was there, on that river, touching that sturgeon. But the room was not gone, my classmates seated around me remained, Susan’s voice was clear. I existed in two places at once. What should I say? That I felt compassion for this fish? That I sensed its fear? That though a silent and strange species, I felt a connection? None of this gets to the totality I felt, to the way my mind reached out and the world rushed in, numinous, swirling around me as the Hudson swirled around this fish. Why do we read? Because the ability of stories to transport the reader compels us. Because the incantatory power of language sings us out of our slumbers and into the circle. And perhaps, as for me, reading stories and encountering characters makes us better people, and holds a religious power over us. Maybe it is all these things at once. I read because an ancient fish connects me to the world. I read because authors preach a universal gospel in a church that requires no faith but what I have in mankind. Today was Sunday, December 30,2018. As is their wont at the end of a year, the Sunday morning news programs ran their “year in review” discussions. Face the Nation ended their broadcast with several of the pundits lamenting the loss of common experiences. Locked behind doors, our screens as portals to personal experiences, or to siloed experiences, we lack the kind of publicly shared, common wonderings that used to create, if not unity, at least a sense of community. Where once we couldn’t walk down a street and look in windows to see 90% of people watching their radios as FDR delivered a fireside chat, we now sit behind LCD screens in gated communities, blithely unaware of our own privilege and prejudices. This is not a new phenomenon. We’ve been on this path since the 80s when Newt Gingrich leveraged the power of dissent and gamesmanship to rise to power and, according to Atlantic journalist McKay Coppins, “turned national politics and congressional politics into team sport” (NPR, 2018) But perhaps 2018 made us understand just how far we’ve gone and forced us to decide whether we want to return to the sort of caring community that listens more than it talks; or whether we want to continue building walls that shelter our fragile opinions, blocking the voices of those who think differently from us and echoing back the words of those with whom we agree. When students learn to listen deeply to their peers (or the works of the authors we study), when they come to class prepared to discuss the texts and issues at hand in a culture of cooperative communication, when they learn that disagreements are chances to understand rather than chances to dig their heels in deeper, when they practice the difficult but necessary task of listening to all ideas, to bearing the silences that naturally populate such conversations as everyone contemplates new and challenging ideas…when all this happens, we learn to open ourselves to new ideas. This openness develops into a wide and diverse marketplace of ideas where we do not throw rotten tomatoes or nasty tweets at each other. We toss our opinions into this marketplace so that others can engage, play with, and further develop or respectfully refute our ideas. Learning, then, is not simply a give and take, not merely the “Chalk and Talk” (though there is a place for that). Instead, it is a dialogue, an iterative, developmental process in which we all grow and benefit, including the teacher. The blog where understanding blossoms.